In an interesting note, WWE has been advertising the current Universal Champion, Brock Lesnar for an appearance on SmackDown Live later this year. Before the NASCAR race, Fox was promoting SmackDown Live, which joins the Network later this year and during the advertisement, Brock Lesnar was mentioned for an appearance on the blue brand in October. 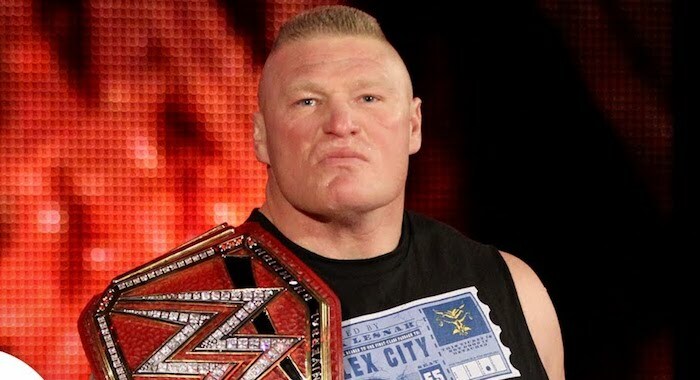 Whilst this could simply be a case of Fox and WWE using Lesnar’s name to promote shows whilst he is under contract, it could also be a strong indication that the Beast might be sticking around past WrestleMania 35. His contract situation isn’t exactly well known and WWE has allowed him to fight in the UFC before whilst under contract, which the company might do again should Lesnar want to fight again this year. Lesnar’s last appearance on the blue brand came back in August 2016, when he attacked Randy Orton prior to their SummerSlam match.